Nokia is taking a leaf out of the Apple/Samsung book of patent wars by requesting that courts ban the sale of BlackBerry handsets in the US, UK and Canada. The Finns have beef with all BlackBerry handsets currently on the market, reckoning that they all infringe on a patent it holds to do with Wi-Fi connectivity. A ruling passed earlier this year found that Nokia was in the right but RIM is yet to cough up licence fees to legitimately use the Wi-Fi tech. 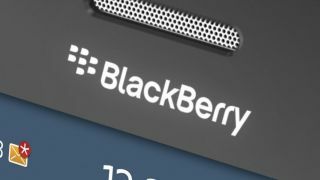 The BlackBerry maker says that an earlier licensing deal should cover the disputed Wi-Fi patent and doesn't want to pay a second fee – but the Stockholm Chamber of Commerce which is mediating the discussions disagreed. RIM is also fending Nokia off in the German courts, where it is under fire for allegedly infringing patents to do with media tags, software update methods and data sharing. In both cases, Nokia seems to have the law on its side but it's not clear yet if its case is strong enough to actually have all BlackBerry handsets taken off the shelves. But if you're in the market for a 'Berry then now might be the time to stock up, just in case.